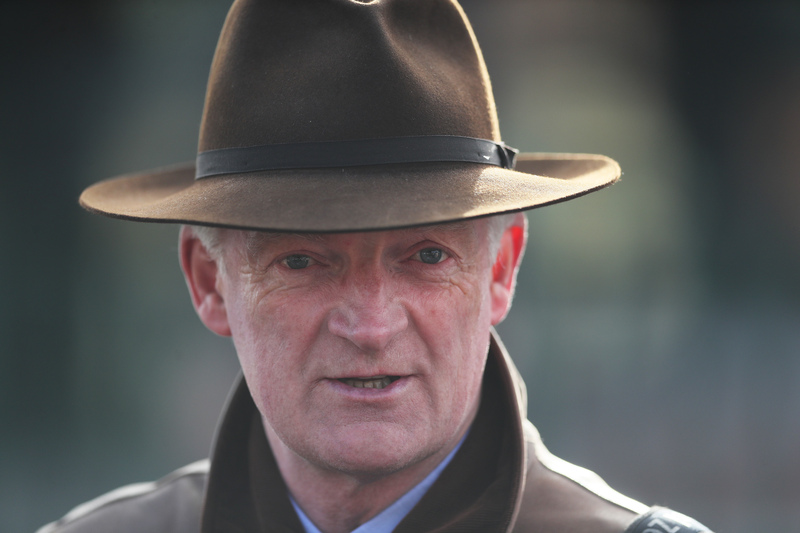 Willie Mullins dominates numerically with five of 11 entries aiming to win this year’s 32Red King George VI Chase for Ireland. The travelling contingent has been out of luck since the second of Kicking King’s back-to-back victories for Tom Taaffe in 2005. But Ireland is this time responsible for a third of 33 initial Boxing Day hopefuls, revealed on Wednesday – with Mullins nominating a quintet to take on title-holder Might Bite et al at Kempton. They are headed by Footpad, who may make his seasonal reappearance this weekend. Mullins has also entered Punchestown Gold Cup hero Bellshill, Al Boum Photo, Kemboy and Total Recall – while Noel Meade has given the option to Road To Respect, Snow Falcon and Disko. Gordon Elliott’s trio of Don Poli, Outlander and Shattered Love complete the well-represented Irish contingent. Last year’s winner Might Bite is one of four Nicky Henderson entries in the three-mile Christmas showpiece, along with Champion Chase hero Altior, Top Notch and Terrefort. Might Bite is 9-4 favourite with the sponsors – and if he takes in the Christmas highlight again he will bid to join the list of dual winners, the latest of which was Silviniaco Conti in 2013-14. Silviniaco Conti’s trainer Paul Nicholls has five in the list – Politologue, Black Corton, Clan des Obeaux, Cyrname and Frodon. Colin Tizzard has put in 2016 victor Thistlecrack and Cheltenham Gold Cup scorer Native River, as well as Sizing Tennessee. Waiting Patiently is an interesting contender for Yorkshire-based trainer Ruth Jefferson.